As I approached one of the longest queues I’ve ever been in, I knew I had arrived at Charter hall in Colchester eagerly awaiting like everybody else, the biggest wrestling show in Essex! There was not an empty seat in the hall at this sell out event and as the show went on I started to see why. The atmosphere was incredible. Fans waving signs around while shouting, cheering and booing. You couldn’t help but to join in with all the action. 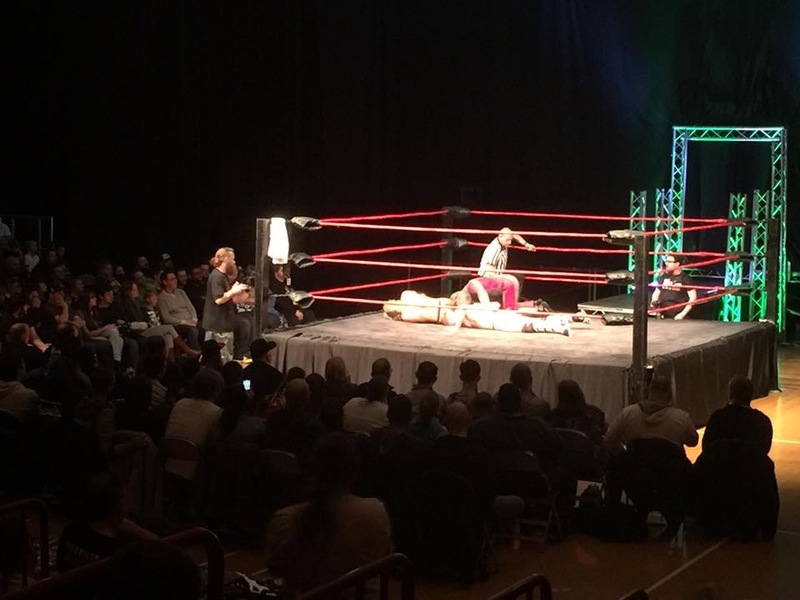 The XWA talent showed us that British wrestling is on the rise with the likes of The Pitbulls, Savvy Island, Lord Gideon Grey, Rhia O Reilly, Jetta, James Castle, Adam Maxted, Lion Kid, Jody Fleisch, Johnny Storm, Paul Tyrrell and Doug Williams and that’s just to name a few! All gave an undoubtedly outstanding performance! Their personas were believable and their wrestling abilities were superb! Top rope action! Back flips! Front flips! Acrobatics I’ve never seen before! The complete works! Attending my first wrestling event live, I can obviously see that a lot of time is put in to making these shows entertaining for the fans. These Superstars made the show great but it was the four people who I’m about to mention next that made the show that extra bit special! When the music played for anyone of these superstars to come out to the ring, I’m pretty sure the whole of Colchester would of known about it! The roar and the chanting from the crowd was overwhelming! We are of course talking about former US Champion and New Japan Intercontinental Champion MVP. Former ECW World Heavyweight Champion ‘The innovator of Violence’ Tommy Dreamer. Former Cruiserweight Champion Paul London and former WWE superstar Hornswoggle. I sat down with them for an interview after the show to find out more about them. When did you decide you wanted to become a pro wrestler? MVP: A long time ago in a galaxy far far away. TD: When I first saw it, i was solidified when i saw Dusty Rhodes wrestle in Florida I probably was 11.
Who are your favorite wrestler’s growing up? TD: I like them all, I was hooked on every single person. Hornswoggle: Ultimate Warrior was my hero growing up. MVP: My life!? Florida state department of corrections. TD: I would say my parents, then Vince McMahon cause I grew up watching his stuff and now i’m still doing it. Hornswoggle: Yes I would have to say my parents. Do you ever get tired of constantly working shows and travelling? TD: I get tired of doing meets and greets and interviews…I’m kidding! Tired yes, I’ve had 11 hours sleep since Thursday. I’m very very tired and my brain is shutting down. 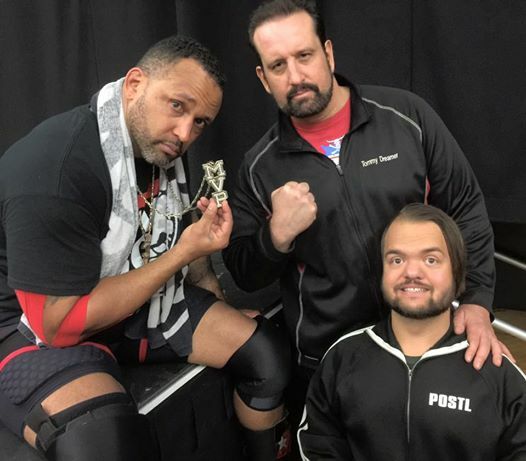 Hornswoggle: Physically tired but you got to continue to love it otherwise. MVP: Come back to me. TD: Yeah it doesn’t matter. TD: We will wrestle any type of match, we don’t really have a favorite. Whats the favorite match you’ve been in? TD: I’ve wanted to do this since I was 9 years old, their all my favorites. MVP: Wrestle Kingdom for new Japan pro wrestling , that was my dream and I achieved it! If you didn’t make it as a pro wrestler what would you be doing now? Do you have a message for the younger people trying to make it into the industry? MVP: Finish school. Here in the UK I don’t think there is much amateur wrestling but if its you’re goal to become an professional wrestler then i would say join a judo club or a jujitsu club to prepare yourselves so that when your old enough and you start wrestling school, you have an idea of what your in for. TD: I would say follow your dreams but really have an certain aspect of reality to it. You need to train and this is hard, dedicating your entire life to it. If not your wasting your time, other peoples time and physical toll on your body that you will never get back. Hornswoggle: Always have a back up plan. A massive well done to Dann Read for putting together such a wonderful event! If you missed this one, then make sure you go see the next one! I know I will be.